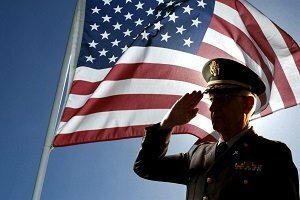 Are You Entitled To Veterans Disability Benefits? At the Manchester, NH Law Office of Manning & Zimmerman, PLLC, we are honored to provide information and assistance to those who have worn the uniform of the United States of America and are entitled to veterans disability benefits. There are many excellent resources for veterans to begin the process of determining if they are entitled to veterans disability benefits. The most informative websites of the federal government are the Social Security Administration and the Veterans Administration (VA). For residents of New Hampshire, information is available through the State Office of Veterans Services. Helpful private websites include Vets HQ, the American Legion, the Veterans of Foreign Wars (VFW), and Disabled American Veterans (DAV). 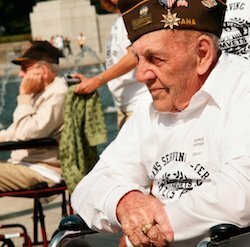 Many veterans are unaware that they are entitled to veterans disability benefits through the Social Security Administration. Military service members can receive expedited processing of disability claims from Social Security through the Wounded Warrior allowance. 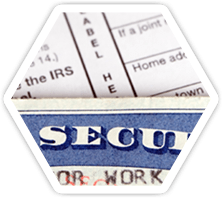 Benefits available through Social Security are different than those from the Department of Veterans Affairs and require a separate application. The expedited process is used for military service members who become disabled while on active military service on or after October 1, 2001, regardless of where the disability occurs. Social Security pays veterans disability benefits through two programs: the Social Security disability insurance program, which pays benefits to you and certain members of your family if you are “insured,” meaning that you worked long enough and paid Social Security taxes; and the Supplemental Security Income (SSI) program, which pays benefits based on financial need. NOTE: In some situations, a divorced spouse may qualify for veterans disability benefits based on your earnings if he or she was married to you for at least 10 years, is not currently married, and is at least age 62. The money paid to a divorced spouse does not reduce your benefit or any benefits due to your current spouse or children. For more information on determining if you or another veteran may be entitled to veterans disability benefits, or for assistance with filing a claim for veterans disability benefits, contact the Law Office of Manning & Zimmerman, PLLC at (603) 624-7200. An Manchester personal injury attorney works closely with a client when preparing for a deposition as well as for testimony during trial, particularly cross examination. There are a number of tips that are crucial for you to understand when facing the prospect of a challenging deposition or cross examination. When asked multiple questions at one time, you need to take the initiative to ask for clarification. You have the right to be asked one question and a time and to clearly understand what is intended by the question. At its essence, a leading question is designed to suggest how you should respond. With that understand, you do not have to accept the underlying premise of such a question as being true. You do not have to take the bait and follow the course in which the person questioning you desires. When responding to a question during a deposition or cross examination, do not speculate or guess in your responses. The only time when this is acceptable is when you have specifically been asked to speculate and have the information and background necessary to make an intelligence speculation or guess. If you are asked a question that is vague, or hard to understand, do not respond immediately. Rather, ask for clarification. Additionally, if you still do not understand what is being asked after clarification is provided initially, ask for further clarification before you respond. Be very direct about not understand what is meant by a question. You are not obligated to respond to questions in which you are asked about what another person may or may not have been thinking. Simply put, when at a deposition or testifying on cross examination in court, you are not obligated to be a mind reader. 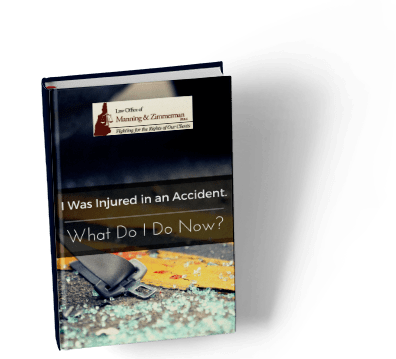 If you have been injured as the result of the negligence of another person, you best protect your legal interests by promptly engaging the services of an injury lawyer Manchester NH, like a member of the legal team at the Law Office of Manning & Zimmerman PLLC. An initial consultation can be scheduled by calling (603) 624-7200. In this month’s Let America Know newsletter brought to you by the Law Office of Manning & Zimmerman, it is noted that story after troubling story about veterans disability benefits continue to appear in news reports across the country. Veterans apply for the veterans disability benefits they were promised in service to their country, only to wait a year or more as huge backlogs at the Department of Veterans Affairs (VA) delay their requests. If a request for veterans disability benefits is rejected and appealed, the average wait time balloons to 3.5 years. And to add insult to injury, nearly 74 percent of those appeals in 2012 were either reversed in favor of the vet by the Board of Veterans’ Appeals or sent back because of errors by VA staff. While the VA has shown progress in reducing the veterans disability benefits claims backlog (first-time requests pending 125 days or longer), significant problems remain, according to many veterans advocates. Since March 2013, the backlog has been cut from 611,073 to 244,602 claims as of Oct. 4. Yet, the average wait time for a response to a claim has increased from 291 days to 345 days during the same time period. If you have been involved in a crash, contact the Manchester personal injury attorneys at the Law Office of Manning & Zimmerman PLLC. While many personal injury cases typically go straight to the settlement phase, it is possible for a personal injury case to go to trial. If that happens, your personal injury lawyer in Manchester NH wants you to be prepared for what might happen. The following are several key points for what you might expect if your case goes to trial. You have the right to reject any settlement offer that is presented to you. Your Manchester car crash attorney cannot settle a case without your consent. If you feel that the amount is not fair, then you can ask for your case to be brought to a trial so that a jury can decide what is fair. The defendant also has a right to take the case to a trial. No one can be forced to settle and both parties have the option of allowing a jury to settle the case for them. Allow your Manchester personal injury attorneys to work the settlement for you. Do not appear too anxious to settle or you may end up settling for an amount lower than what you could have settled for. If your case goes to trial, you may be asked to testify on your own behalf. You will need to tell the jury and judge what happened during the accident. Witnesses for both parties will be allowed to testify as well. Based on these testimonies, the judge and jury will make a decision in the case. 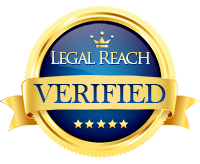 While your personal injury lawyer will fight hard for your rights, there is no guarantee that you will win your case. However, if you do win, the defendant will be required to pay the amount that the jury decides on. If you lose the case, you can either walk away or make a motion for a new trial. A judge will decide if you will be granted a new trial. If you cannot secure a new trial, you can appeal to the court for a new judgement. The NH disability attorneys at the Law Office of Manning & Zimmerman, PLLC are pleased to share this Social Security Administration press release announcing a 1.7% benefit increase for 2015. Information about Medicare changes for 2015 is available at the Medicare website. For help with a disability claim, contact the NH disability attorneys at the Law Office of Manning & Zimmerman at (603) 624-7200. A Manchester social security disability attorney will be able to help you determine your qualification status, and what you will need to do to move through the process. Our team is prepared to assist you with your filing so that you can reach a resolution as quickly and smoothly as possible. We’re standing by to represent you and we guaranteed to have the training and experience to be able to handle your case. We pride ourselves in being the go-to representatives for a wide variety of disability lawsuits. We help our clients receive the compensation they deserve for their disability claims. We handle social security disability cases throughout the state. It is important to stay patient during this process . By working closely with our clients and understanding their unique requirements, claims and goals, we help them take the most appropriate steps toward the best possible resolution.